How is your life span being measured; how is it turned on and off; can we override the program? Are you the ancient Gods you speak of? 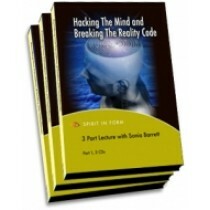 These lectures explore the technology of this vast cosmic computerized system to which we are tied as our minds are interwoven into a complexity of program streams from which our individual journeys are constructed. Until we venture into this realization we will be confined to the gradual evolution of humanity based on the general system programs known as cycles. We are then predestined to operate from the collective stage one blueprint. The understanding of the science of this monetary mind trap is bound together with our beliefs about time and space. Your very existence is played out though the monetary matrix. This is all an illusion of scarcity and plenty. All components in every aspect of reality are comprised of data. Our entire interaction with reality is based on information exchange. What is overlooked or unrealized is the necessity to read the underlying data stream in all mechanisms of interaction. This ranges from the physical to the non-physical passage of engagement. The game is about the interplay with streams of underlying undetected data or information.